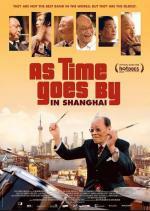 I had the priviledge to be invited this week at a private projection of the documentary "As Time Goes By In Shanghai" by German filmmaker Uli Gaulke. 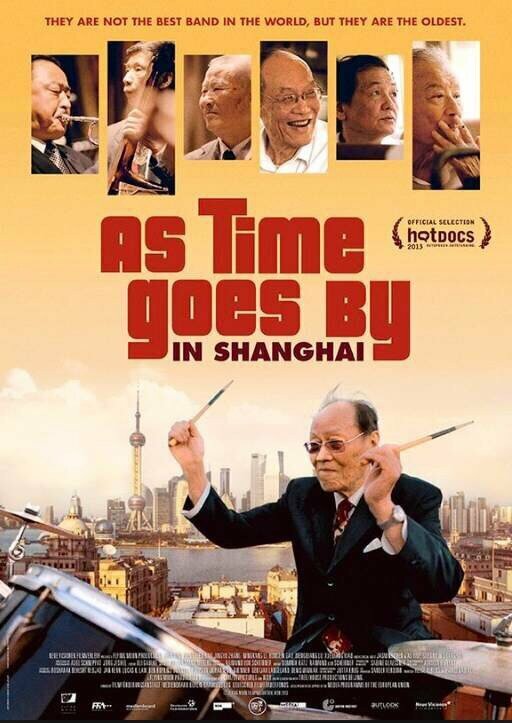 This 90 minutes document tells the story of six old gentlemen, the members of the famous Peace Hotel Old Jazz Band. Through the odissey of these some 70 years old or more figures, we definitely understand the dramatic changes which occured in China over the last sixty years (read my article in French Les Chinois face à leur Histoire). As the characters were born in the 30's, they grew up listening to American Jazz bands which were flourishing in the city after the defeat of Japan. They tell us about the night clubs around the now People Square which used to be the horse race track in those years and the kind of exciting music you could listen there (read my article Swinging Shanghai). After communist PLA took over the city though, things changed with closing down of bars in 1952. After that, Chinese Cultural Revolution totally banished western music from radios and streets, but our six characters continued to listen to it secretly on copied audio-tapes. When Mao's died in 1976, it became possible again to play jazz music and they started to play American classics and Shanghainese songs like Ye Shanghai or Ye Lai Xiang. As you would enjoy the delicate perfume of ephemeral flowers, I strongly advise you indulge yourself with the unique taste of the Old Jazz Band, one of the best venues in Shanghai.